In the ever-shifting world of media metrics, it’s helpful to have guides. The best guides can see beyond the weekly numbers report to imagine how analytics can serve the public mission of journalism. They explain which metrics trends matter and which to ignore. And they show how analytics can help to create new media businesses based not on scale and venture capital but on loyalty and value to readers. In 2017, we saw these innovators in media metrics take hold of the conversation and refuse to let go. That’s why we are thrilled to honor the inaugural MetricShift20, a list that includes trailblazers working to transform metrics inside newsrooms, leading digital media thinkers and scholars, and innovators in analytics technology. We received many nominations and voted as a staff on the final 20. They weren’t easy decisions but we’re excited about every single one of the names listed below. 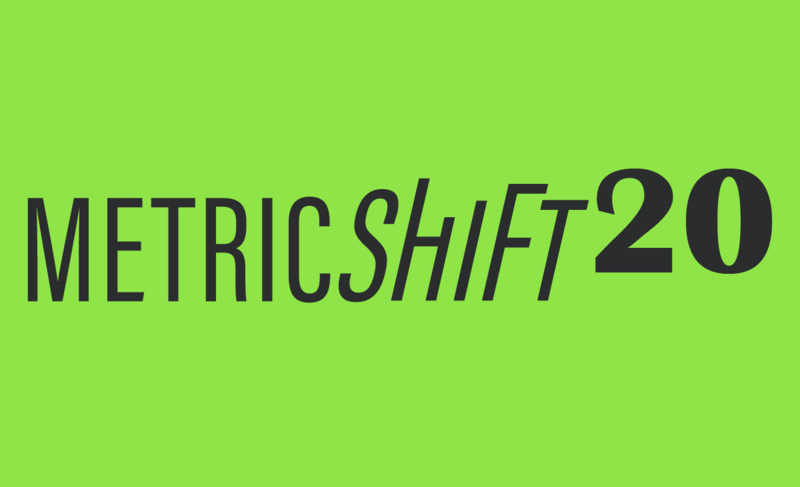 Read on to learn more about what each MetricShift20 honoree has done to stand out. And pay attention to what they do next, because they have set courses that many others will follow in 2018. As digital director and head of audience for lohud.com and poughkeepsiejournal.com, Anjanette Delgado is a leading proponent of bringing impact tracking and measurement to the commercial news sector. She’s an internal evangelist at the USA Today Network spreading the gospel of impact. In articles written for the Media Impact Project and MediaShift last year, she explains how she shepherded the development of an impact tracker that is rolling out to other Gannett properties —”We built an impact tracker to record not the clicks but the real-world change our journalism inspires,” she wrote — and shares an important case study on the impact of explanatory journalism in Ramapo, New York. Her work shows how local newsrooms can collect qualitative data, like reader surveys, and combine it with quantitative metrics and impact measurement, to understand the big picture of what their journalism means for the communities they serve. Terry Parris., Jr., charges forward as ProPublica’s deputy editor for engagement. He makes the MetricShift20 list for how he has developed and argued for new ways to evaluate public participation projects. Site traffic, likes, and other basic engagement metrics are no longer the key performance indicators for a social team in the newsroom. In fact, the goal at ProPublica is often to do journalism and reporting that involves readers from the start and measures success by the depth and breadth of their participation in the development of stories. At ProPublica, of course, that often means award-winning journalism, and here Parris has a lofty goal. “[He] has his sights set on one more trophy: a Pulitzer Prize for a crowdsourced reporting project,” Julia Haslanger wrote for MetricShift in May. In 2017, Parris asked readers for help identifying officials helping President Trump roll back regulations, fact-checking members of Congress on health care policy, identifying elected officials blocking constituents on Facebook and Twitter and much more. The Wall Street Journal’s “metrics mavens” Amanda Lilly and Vivyan Tran profiled on MetricShift in February, team up on audience analytics and engagement for the global publisher. The two audience data analysts regularly dig into the production side to understand the stories the newsroom is producing, working with editors and reporters to make informed coverage decisions. Working on the audience side, they analyze reader behavior and patterns of usage that matter for WSJ’s bottom line, like the difference in behavior between subscribers and non-subscribers. Lilly and Tran are the question-answerers and metrics-whisperers for 1,400 newsroom staff around the world, explaining the metrics that matter. Melissa Luck joins the MetricShift20 for taking the lead in measuring Facebook Live videos for newsrooms. From her position at ABC affiliate KXLY in Spokane, Wash., Luck is a constant experimenter, ubiquitous social media presence, and an advocate for smarter measurement when it comes to TV outlets’ digital efforts. Her advice? Get past the gimmick of Facebook Live to make it something useful for viewers (and journalists). “The best Facebook Live videos not only tell a story, but prompt questions and engagement as well,” she writes. That approach has worked to bring new viewers and followers to her home station. Luck shares her expertise with a much bigger audience through her MediaShift DigitalEd trainings on Facebook Live. Alyssa Zeisler has spearheaded the use of data at the Financial Times, developing new methods for distributing data throughout the newsroom as well as new ways to quantitatively understand their audience. She wrote about her method for asking better questions for MetricShift in November. Zeisler also developed the “Loyalty Score” with the help of editorial analysts, which is a way for each FT editor to understand how loyal their audience is to their core content and whether they should be focusing more on reach (getting new subscribers) or engagement (increasing consumption among existing subscribers). This innovation has proven a simple yet effective way for editors to understand their audience and experiment with audience and digital-first projects. Zeisler also published a report in December on the media gender gap, finding that news organizations with more women writing the news and in leadership positions had a greater percentage of women in their audience. Louisa Ha is a professor in Bowling Green’s Department of Media Production and Studies and is the editor of Journalism and Mass Communication Quarterly. She joins the MetricShift20 for her creative approach to helping students understand metrics. Ha’s course on media metrics gives students access to real analytics with a brief to provide actionable recommendations to on-campus media outlets — simultaneously overcoming one of the biggest hurdles to teaching metrics in the university environment and giving student journalists a taste of how digital analytics can help them in their future careers. Jane Elizabeth is director of accountability journalism at the American Press Institute and has too many accomplishments to list here. At MetricShift, we were especially excited this fall when her new study of social media habits was published, finding that it’s high time to reinvent social media in newsrooms. For MediaShift, Elizabeth offered a list of 10 things you can do now to up your social media game in 2018, one of the most widely read and widely shared stories we’ve published recently. “There will always be people who refuse to believe we landed on the moon,” Elizabeth said at an event on fake news hosted by the New York Daily News Innovation Lab last winter. But her recommendations could greatly improve not only the incentives of digital news outlets in the journalism they produce and how they produce it, but also the trust that audiences have in news. What’s ahead in the field of analytics for smaller publishers? Rebekah Monson of WhereBy.Us is exploring that question this year during a fellowship with the Donald J. Reynolds Journalism Institute. She’s building a set of open-source analytics tools to help smaller publishers tackle big data analytics questions around user value, acquisition and recirculation, and much more. “We hope that by teaming up with organizations with similar goals and data, we’ll be able to prototype, get feedback and find better solutions together, faster,” Monson wrote. For more, read Kim Bui’s MetricShift interview with Monson on the questions metrics can answer, cross-platform tracking, and how conversion funnels apply to journalism. Never one to sit still, Lindsay Green-Barber continued to break new ground in the field of media impact and measurement in 2017. In June she published a major report for the Tow Center for Digital Journalism at Columbia University, with Fergus Pitt, on the case for media impact. The report examined the history of the media impact field as well as the impact of one project, an investigation by the International Consortium of Investigative Journalists (ICIJ) into the World Bank. In an interview with MetricShift, she talked about the changes she has seen in recent years in how journalists think and talk about impact, and the advice she gives. “I encourage people to speak with as much specificity as possible. For example, when I work with media organizations, rather than talk about ‘impact,’ I ask what success looks like, for staff, for leadership, and for other stakeholders. I find that when people get specific, there’s actually more overlap than divergence,” she says. Now running her own consultancy, The Impact Architects, Green-Barber continues to make a case for rigor and quality. As principal of the consulting firm she founded, Dot Connector Studio, Jessica Clark is seemingly everywhere. For one, she is the research director of Media Impact Funders, the working group of philanthropic leaders who fund journalism and other kinds of media and think deeply about the impact of their investments individually and in aggregate. But our favorite project to come out of Dot Connector Studio this year was the Impact Deck, which Clark created with her Dot Connector Studio colleague Carrie McLaren. The deck is an innovative card-based methodology for plotting out the potential ways a media project can make difference before the project has even begun. It’s an essential part of any measurement pro’s toolkit: “Using the deck, to me, allows people to come together around a table to ask questions,” says jesikah maria ross of Capital Public Radio. In 2017, Clark also helped the Knight Foundation evaluate their investments in podcasting, took part in the Wikimedia Foundation’s 2030 strategy process, worked with AIR’s Localore program, and much more. Sangeeta Singh-Kurtz was a 2016-2017 Donald J. Reynolds Journalism Institute fellow, where she helped create Opt In, a free tool to help newsrooms design and manage effective newsletters. In a series of articles documenting their research, Singh-Kurtz and a colleague shared a cheat sheet for newsletter analytics, explored how newsletter metrics translate into publisher revenue, and explained how to optimize a newsletter’s performance by testing and measurement. What did they learn after relaunching their own local news site’s newsletter? “We received a lot of positive feedback on the design, especially from our mobile readers,” she wrote. But if it doesn’t work, trust the metrics and let it go. Singh-Kurtz is now an editorial assistant at Quartz. Neil Solanky is director of insights at NowThis, running the analytics that power the social video powerhouse. NowThis, a digital media innovator since the company was founded in 2012, is “an excellent creator of sharable video,” says Gabriele Boland of NewsWhip, frequently appearing at the top of lists ranking publishers’ social engagement and sharing. The publisher creates videos in many niches, like news and food, into which its content is sliced and distributed to create audience value. And analytics data drives that innovation. Solanky joined MetricShift for our live DigitalEd panel with Parse.ly on how to get better video metrics last July. CUNY social journalism student Kristine Villanueva created one of our favorite case studies on media metrics this year, examining how to get engagement metrics for a project on underground music in New York City. She wrote about the process of setting metrics goals early on in the project and reported back analytics for a print zine distributed at shows and bookstores, a pop-up Instagram account and a Medium publication. Villanueva also co-hosted an #EdShift chat for MediaShift in August about the goals that professors and students have going into the school year. Villanueva graduated from CUNY’s 16-month graduate program in December and is now a news intern at Storyful. Chelsey Heath, a News SEO strategist at Trisolute’s News Dashboard, wrote one of our favorite pieces on MetricShift this year when she examined the ways publishers can increase metrics with Google AMP. With mobile and search metrics an increasingly important topic with frequent changes and developments, it’s crucial to stay on top of how platforms like Google’s Accelerated Mobile Pages and Facebook Instant Articles are affecting publisher’s metrics, for good and for bad. In her blog posts for News Dashboard, an SEO fundamentals unconference session at the Online News Association conference, and elsewhere, Heath shines a helpful spotlight. Heath is a graduate of the Walter Cronkite School of Journalism and Mass Communication at Arizona State University. Nick Ascheim is senior vice president of digital at NBC News and MSNBC. What has he done to innovate this year? He turned off autoplay on videos at NBC News, and that alone would get him on this list. But that’s not all he did to bring a user-first, pivot-to-loyalty mindset to media metrics. In his nomination, we also heard about how Ascheim helped to reinvent news on Snapchat with the Stay Tuned show, launched a new experimental video unit called NBC Left Field, and led growth that has helped to turn digital at NBC News into a viable business. Ascheim and the work of NBC Digital in 2018 will be worth paying close attention to. Josh Schwartz is Chartbeat’s product, data and engineer chief, making him a key leader at one of the most ubiquitous digital analytics companies in the world. Under his watch in 2017, Chartbeat added a drumbeat of new features, including historical insights, subscriber engagement analytics and headline testing. Last January, he joined a special #MetricShift Chat on the most engaging stories of the year. And he has been an important voice in helping newsrooms and the people who work in them make sense of metrics, and not just use the tools. Schwartz has used his platform as an analytics leader to call out the roles of Facebook and Google and argue for a bigger focus on reader attention. In April 2017, Chicago Tribune deputy editor for digital news Kurt Gessler wrote a Medium post that rocked news publishing. The post, titled “Facebook’s algorithm isn’t surfacing one-third of our posts. And it’s getting worse,” drew on the Tribune’s Facebook data to unearth a trend that would come to be one of the most recognizable of the year: a big decline in reach for publishers on Facebook. That post is emblematic of Gessler’s open-source approach to media metrics. At MetricShift, he has contributed popular articles with detailed before-and-after results of headline testing, showing off what worked best and why. Christoph Schlemmer studied ways that news agencies like the Associated Press, Reuters and the German Press Agency (dpa) can measure a distributed audience. In a report published by the Reuters Institute for the Study of Journalism, he distilled lessons from top-ranking wire editors and examined the most common tools that these agencies use to track their audiences and the use of their work. It’s a valuable addition to the growing body of knowledge around distributed content and the role of wire services and news agencies in providing global reporting to national and local audiences. Schlemmer is a business reporter at the Austria Press Agency (APA) in Vienna. Brazilian media innovator and ICFJ Knight Fellow Pedro Burgos is the creator of Impacto, a tool for automating collection of mentions of news organizations in public records like court proceedings and government legislation that has profound implications for media impact measurement. Burgos’ nominator says that by scraping these records, Impacto has already helped Brazilian media track hundreds of impacts, with the goal of creating a culture of impact in newsrooms and building audience and loyalty. Impacto also monitors influencers on social media. Burgos began the project earlier this year with support from Google News Lab and after he built something similar for The Marshall Project, which received a dashboard they still use to track online impact of their stories. Congratulations to all the 2017 MetricShift honorees.